Thursday gave us a resurrection of sorts as two players on two opposite sides of the world managed to find their games again. 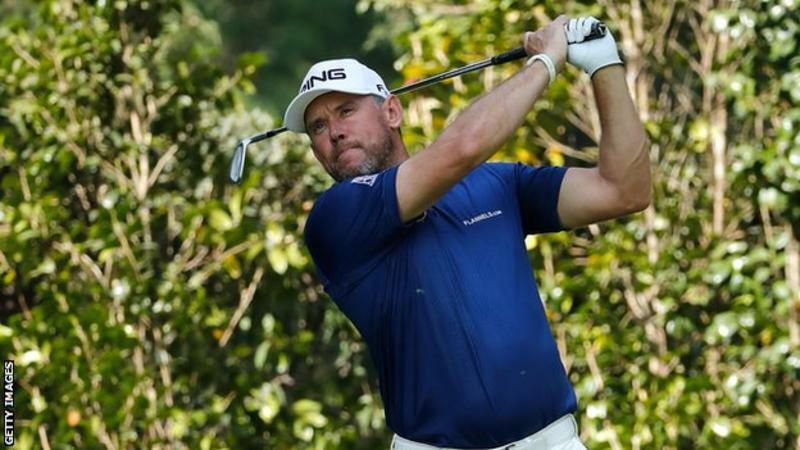 Down in Mexico, Lee Westwood posted 8 birdies and 4 bogeys as he joined the lead group. It's been a while since Lee played this well in a WGC, but he noted that the course was playing a bit more like a European Tour event and he's been focusing on the ET for a couple of years now, trying to get his game back in shape. Looks like it's working to me. I'll be interested to see how he does today, now that he has some expectations. And over in Singapore, Michelle Wie had the solo lead after the first round at -6. It was Michelle's first lead since her win at the US Women's Open a couple of years back, highlighted by improved putting. As I'm writing this, Michelle is no longer in the lead -- she's T3 (-8) after 11 holes, having picked up a couple more shots in the second round. But for someone who has struggled with injury and putting woes for a couple of years, this must seem like miraculously good play to her. In a year where the youngsters are monopolizing the scoreboards, it's kind of neat to see these two players back at the top of their respective leaderboards. Hopefully their good play will continue and they'll find their way back in the winner's circle... maybe even at a major. Their timing is certainly right for it. And fortunately, both events are being broadcast so we can see their reemergence right before our eyes.